Tucked between the back-roads of Youngsville, NC you’ll find Custom Dynamics® the industry leader in after-market motorcycle LED lighting. Our small-town, family-value mentality still serves as the guiding force of our company. As a result, the business has continued to grow. We’ve always believed in making our customers the priority. The support we’ve received is assurance that our method works. In our 15th year of business, we want to offer a platform where we can interact with our customers! We want to provide industry news and relevant information to the motorcycle community. From beginner riders to seasoned enthusiasts, we value all of our customers. We hope this blog offers relatable information to the ‘motorcycling way of life’! First, you’ll find featured bikes, tips from the Custom Dynamics® garage, Industry News, Events, product reviews, Customer Spotlights and more! We’ll be featuring the Custom Dynamics® Bike of the Week along with other bikes and builds. In addition, this blog will get customers more familiar with the Custom Dynamics® crew (in the office and on the road) and will offer sneak peeks of all the behind the scenes action you don’t typically see! 2002: Dave Pribula starts Custom Dynamics® from his home office. With a degree in electrical engineering and a passion for motorcycles, a dream was born. Equipped only with a “How To” book on building websites and an idea for high quality lighting, Dave was on a mission. 2006: Outgrowing the home office, a retail/office space was opened in Wake Forest, NC. 2009: Custom Dynamics® makes the asset purchase of No Magic Neon. The purchase included the Street Magic™ brand and a few popular products that are still best sellers today! 2010: Within a year of the asset purchase Custom Dynamics® joined DRAG Specialties, a worldwide distributor of power sports products, making Custom Dynamics® products available worldwide! 2012: As a result, Custom Dynamics® transitions into their current 22,000 sq ft facility in Youngsville, NC. 2013: Acquisition of MiniBeast® Air Horn puts Custom Dynamics® on the map for being seen and heard. 2015: With the acquisition of MBW Motorcycle Products Custom Dynamics® expands product line to metric and Victory models. “We at MBW are very excited to have Custom Dynamics® taking over the design, manufacturing and distribution of our product line. With their knowledge and experience in the motorcycle lighting industry, their exceptional customer service, and their outstanding reputation, Custom Dynamics® will be able to continue what we have developed and bring new and exciting ideas to the product line.” -Jennifer Waring, President of MBW Motorcycle Products Inc.
2016: Custom Dynamics® UTV Turn Signal Kit makes the Powersport Business Nifty 50! Kicking off the milestone year, Custom Dynamics® released a new website. The complete overhaul features a more user-friendly, sleek design! However the website launch was only the beginning of the renovations in store for 2017! Most noteable, a new Freightliner Big Rig will debut this Fall Rally season at Delmarva Bike Week (later this month)! The big rig isn’t all! In addition, a new 53-foot stacker trailer and new awning will showcase Custom Dynamics® at the Fall Rallies this year. Boasting an impressive 550 horsepower, there’s no missing us! Almost tripling the size of the current Custom Dynamics® awning, the new 2247 square foot canopy will ensure customers can find them, rain or shine! You can find the complete 2017 Show Schedule here. You only regret the rides you don’t take and Custom Dynamics® has its sights on the open road ahead! Ride Safe! First, thank you so much for your support – we appreciate that very much! Next, we have confirmed you are still on the Product Request List for an LED Headlamp that would fit your ’97 Honda Valkyrie 1500! We recently began offering our ProBEAM® Headlamp for various Ducati, Triumph, Moto Guzzi, and BMW models (with additional headlamp conversion kit); if we are able to offer a headlamp for your bike, we’ll most definitely let you know! 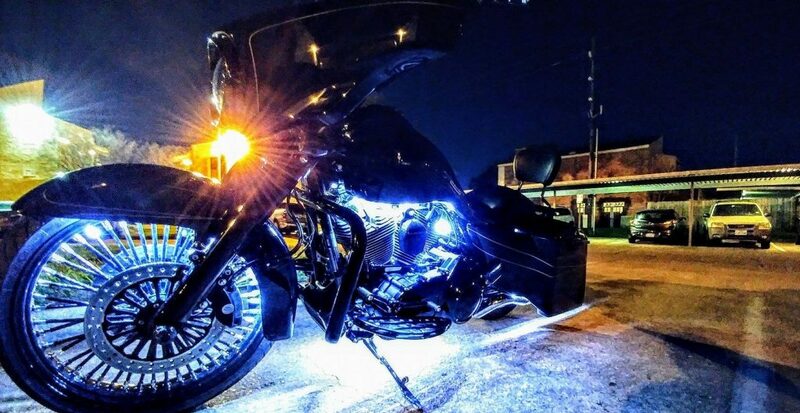 You could also consider a more universal application to add forward facing driving light illumination to your bike, like our Cool Magic Billet Bullet Driving Lights®. These projection style LEDs display a 30 degree pattern of bright white light to give the rider greater visibility down the road. I know there is a lot of information to review online, so please feel free to let us know if you have additional questions or if we can help you place your order! 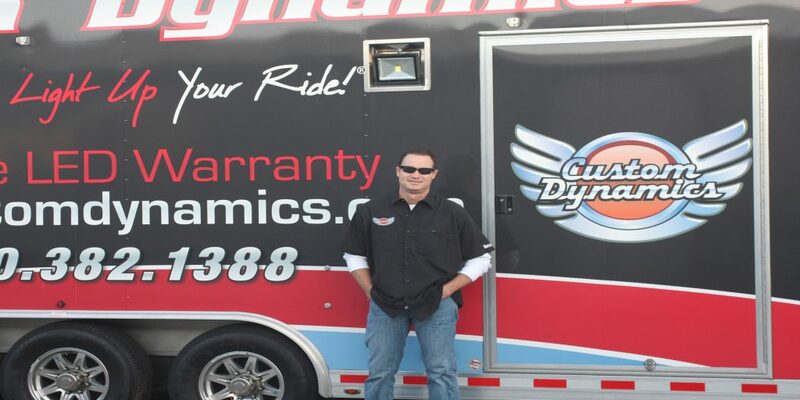 Thank you again for choosing Custom Dynamics®, ride safe! I have an old 1999 HD Electra Glide Classic. I have converted all my lighting on the bike to your C/D lights. I currently have the amber colored sealed beam driving lights up front. I use the AMBER colored driving lights because they make me more noticeable/visible when riding in heavy California traffic. My question is can Custom Dynamics make/have a set (2) of the amber LED driving lights? There are a lot of riders out here that use the amber driving lights for the same reason. Please let me know if you can help us. Thank you for choosing Custom Dynamics! We do offer Custom Dynamics® TruBEAM® LED Passing Lamps however these are 5800K White LEDs rather than the Amber color you had in mind. We do have a product request list that we can add you to! That way, if we offer the Amber LED Passing Lamps in the future, we can let you know! Let us know if you’re interested in being added to the request list or if there’s anything else we might be able to help you with! Thank you again, Ride Safe!